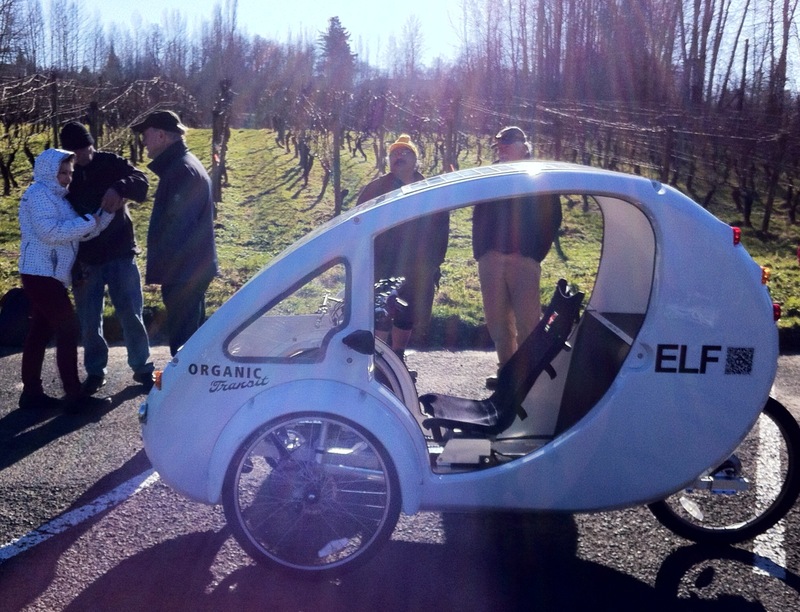 Organic Transit visited Portland, Oregon last weekend to demonstrate their ELF electric-assist tricycles, which are pedal powered and solar powered. 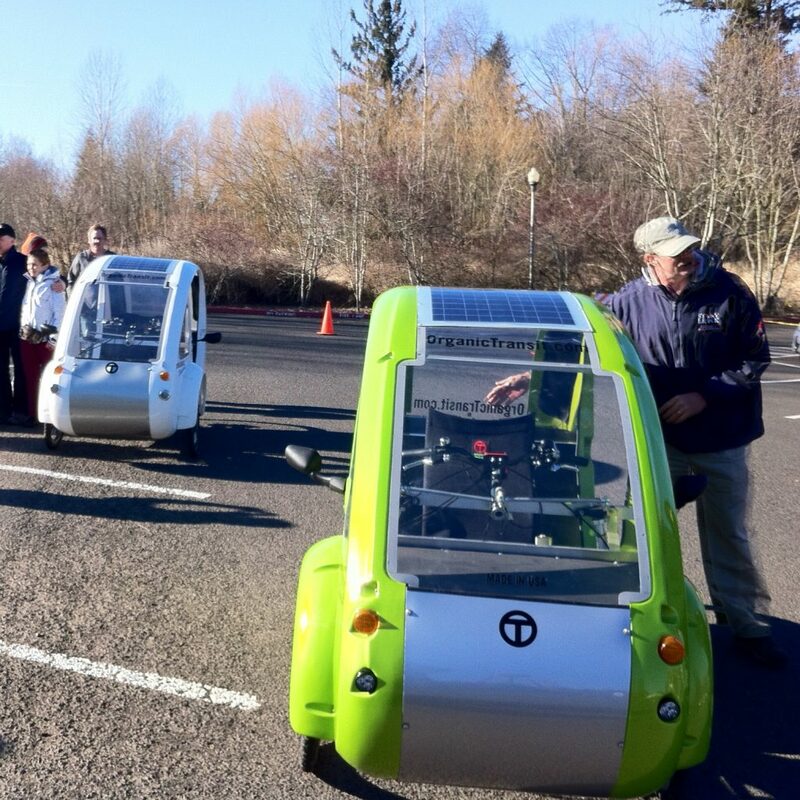 Brock had a chance to interview company owner and inventor Rob Cotter, Portland resident and ELF enthusiast Lorraine, and long-time ELF believer Ned from upstate New York, and spoke briefly to an Oregonian reporter (who contributed to an article with a photo gallery that Brock appears in). Visit organictransit.com for more information on these innovative creations. See also BikePortland’s coverage of the in-town test drive.